Re-personalising the digital experience through visual replay of the customer journeys. We’ve become accustomed to the fact that heavy competition in today’s digital economy has made differentiation essential. Organisations with a customer-centric approach have risen to the top, with greater appeal and stronger brand loyalty. They understand that customer experience has always been key to their success. Before the rise of the web, organisations had to work hard to ensure their physical branches were appealing, and customers enjoyed being there. Going back further to when local independent traders were king, shopkeepers, bank tellers and travel agents offered a truly personal touch, greeting their customers, getting to know them and helping out when problems arose; it was all very personal. Fast-forward to today and digital transformation has led to the rise of an always-on economy, driven by 24-hour delivery, online banking and price comparison sites, making it harder than ever to offer as personalised an experience as yesteryear. Progress has always had its downsides and there’s no doubt that in today’s fast-paced landscape of convenience and choice, it’s difficult to provide the same level of customer-centricity that was once available. However, whilst digital innovation has reduced the personalised experience in recent years, more forward-looking organisations are now using it to reverse that trend. Modern capabilities – like AI-powered chatbots that can suggest additional products and services based on customers’ order history and browsing habits – offer a way to replace the smile and handshake of old with a new type of personalisation. However, organisations have had to embrace dynamic cloud infrastructures and architectures based on microservices and containers, and switch to agile DevOps cultures to harness these modern capabilities effectively. Whilst this has created the foundation organisations need to enhance customer experience, it has also introduced enormous complexity that puts that same customer experience at risk. There are now billions of intricate dependencies within digital applications and online services, which makes it harder than ever to maintain visibility into customer journeys. As a result, when a problem is reported, the customer care team often can’t see what the cause is, but must attempt to resolve it based on limited information. If the problem isn’t dealt with efficiently, the customer experience is impacted even further, and a negative cycle ensues. 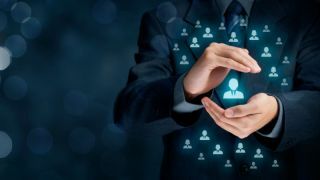 Further down the line, when organisations are trying to prevent the problem from occurring again, information is passed through various teams – from the customer or digital business team, to customer care and IT. This can result in a giant game of Chinese whispers that means the information is inevitably going to get lost in translation, with the customer’s problem becoming harder to resolve. What organisations need to do is get back to the basics of the original personalised experience, as exercised by the humble shopkeeper and independent trader. They need to know their customer; to stand next to them and see the experience through their eyes to understand what’s going wrong and how it can be improved. Some of the world’s biggest retailers have taken this idea so seriously that they’ve built custom capabilities that allow them to play back a visual replay of their customers’ journeys. Employees can then review these journeys, so they can understand how customers interact with the e-commerce application and identify where usability can be improved. However, those same capabilities aren’t just applicable for retailers, they can be applied within any industry where customer experience is key. Having this visibility allows organisations to see exactly what’s going on from the customer’s perspective, enhancing their ability to respond to issues that arise. It also allows them to bring down the mean-time-to-repair, as everyone can see a clear picture of what went wrong, alleviating the chances of information being muddled as it’s passed through various teams – no more Chinese whispers. However, a visual replay only provides one piece of the puzzle. Organisations need to be able to apply what they’re seeing in the video replay to a broader context, using it to enhance the insights provided by existing performance data. Deterministic AI can bring further benefits, enabling IT teams to instantly analyse and identify the root cause of problems that customers are facing. To really start differentiating, organisations can start thinking about how they can use all this insight to define customer success KPIs. We’re so used to talking about KPIs that are business or finance related, but hardly ever consider them as behavioural metrics. With the ability to fully visualise customer journeys, organisations can start to define what the ideal experience should look like and set a ‘struggle score’ for each of their webpages or apps – essentially, building out a scale for customer success. This can be used to define focussed business goals orientated around bringing down a struggle score to increase the probability that customers will complete their transaction. With this intelligence, organisations can really start to deliver unrivalled digital experiences, looking for areas where customers are struggling and proactively improving them to maximise conversions. The ability to step into the customer’s shoes and see exactly what’s affecting them is key to being able to empathise with their experience and identify how it can be improved. Ultimately, enhancing traditional performance metrics with the insight from a visual replay of the customer journey will put organisations in a much stronger position to truly understand their customer and maximise revenues through digital transformation initiatives. The customer is always right, as the old adage goes, and just because the majority of transactions and experiences take place online, organisations shouldn’t have to lose the personal touch. If they can get back to their roots and become more consumer-centric again, they can acquire a greater competitive advantage and stronger ability to differentiate.